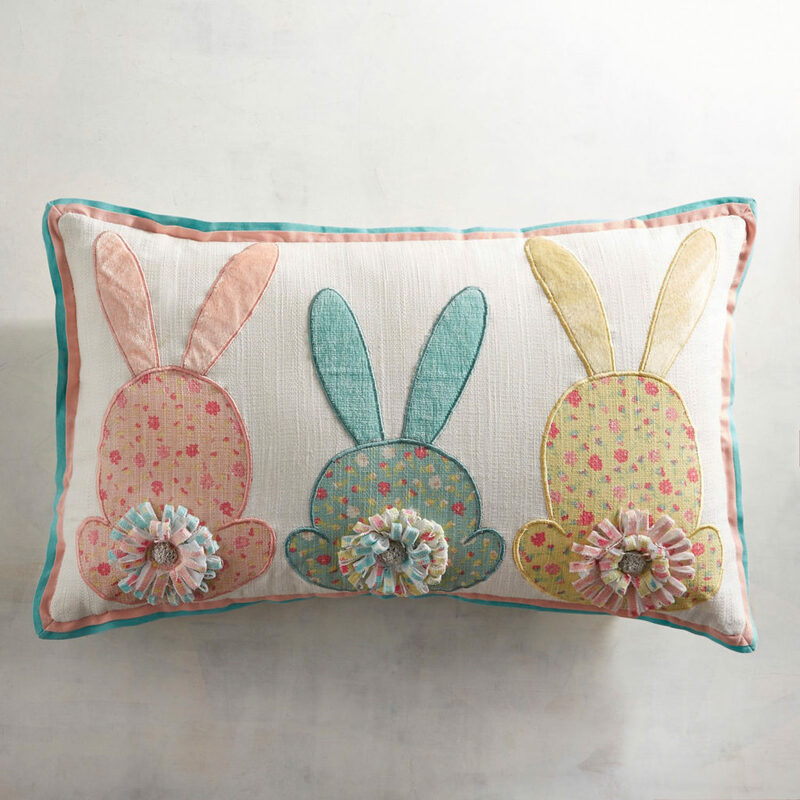 The view from this 3 Bunny Tails Lumbar Pillow shows the matching fluffy tails of an appliqued trio, each nicely coordinated with the individual color and fabric they’re wearing. $29.95 Clearance $20.88. Buy here. 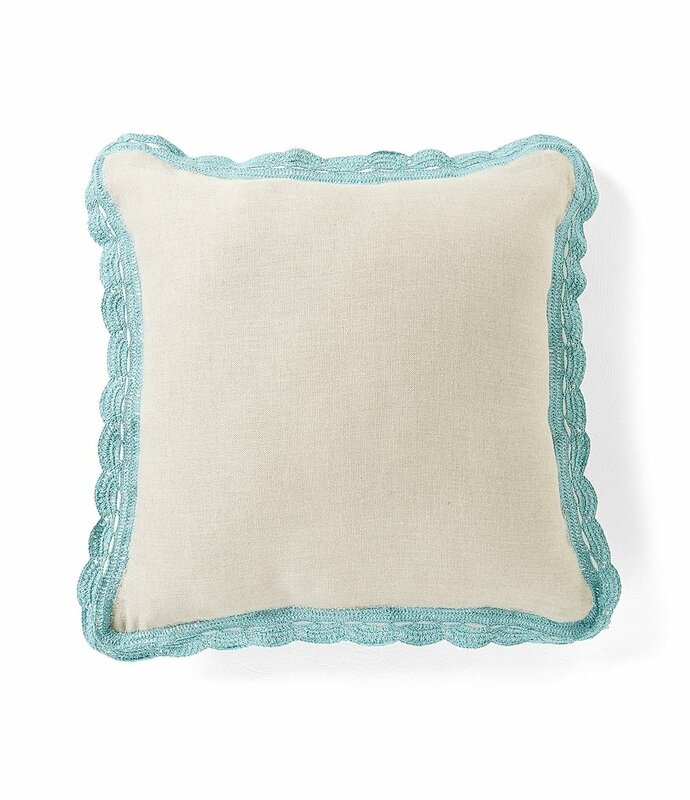 This Crochet-Trimmed Linen Square Pillow features beautiful blue decorative crochet trim. Approx. 18 x 18″. Machine washable. $49.99 Sale $12.49. Buy here. 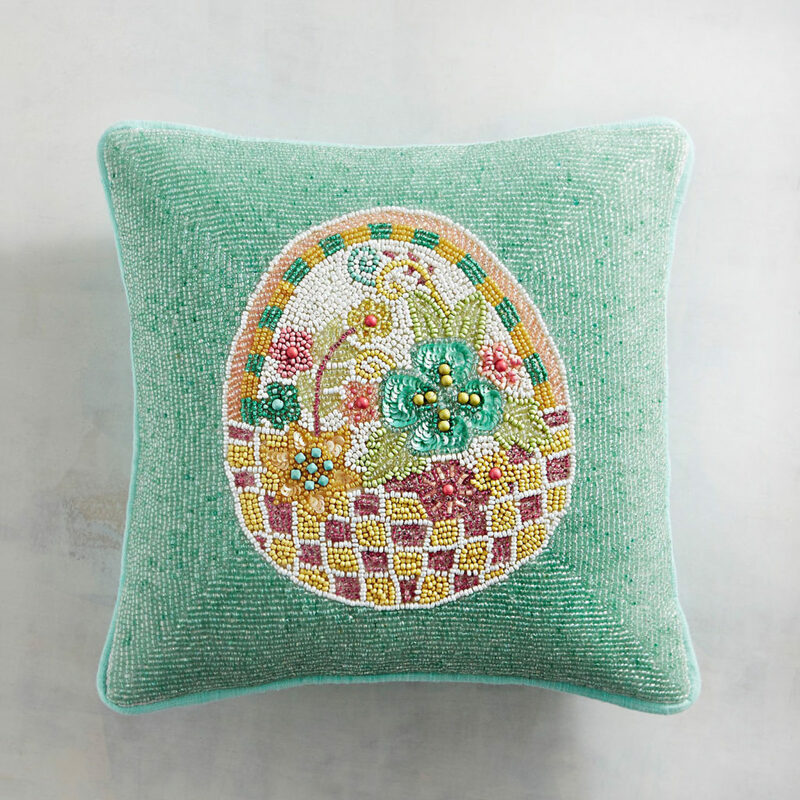 Your holiday celebration begins the minute you bring home this Beaded Easter Basket Pillow showcasing an awe-inspiring Easter basket. 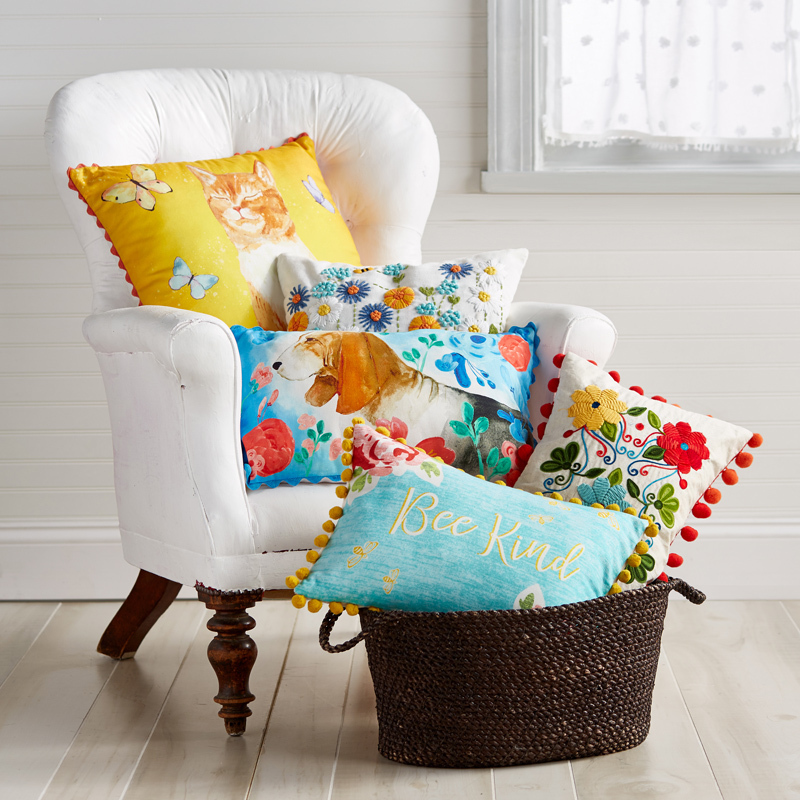 It’s filled with pretty flowers captured in wall-to-wall beadwork to dress up your sofa. $29.95. Buy here. 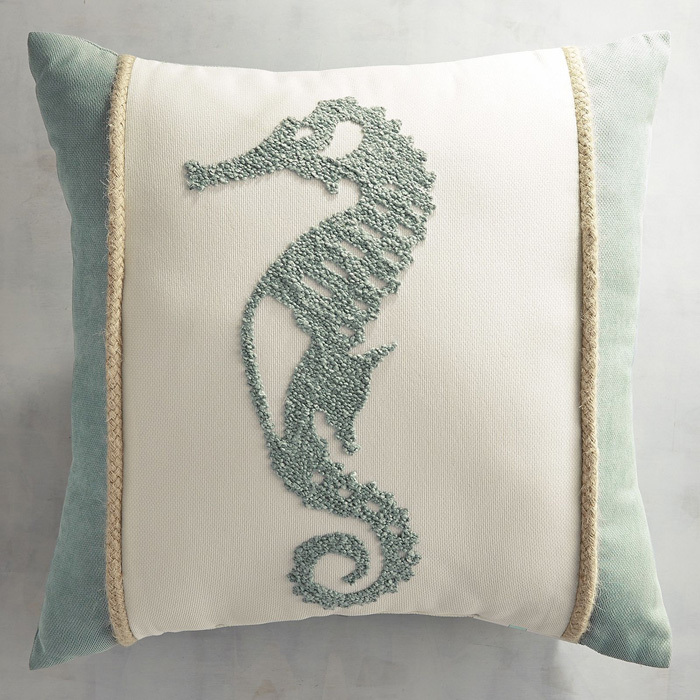 This Maui Seahorse Embroidered Pillow, inspired by life in the ocean, features jute trim. For indoor or outdoor use. UV-resistant and mold- and mildew-resistant. $35. Buy here. 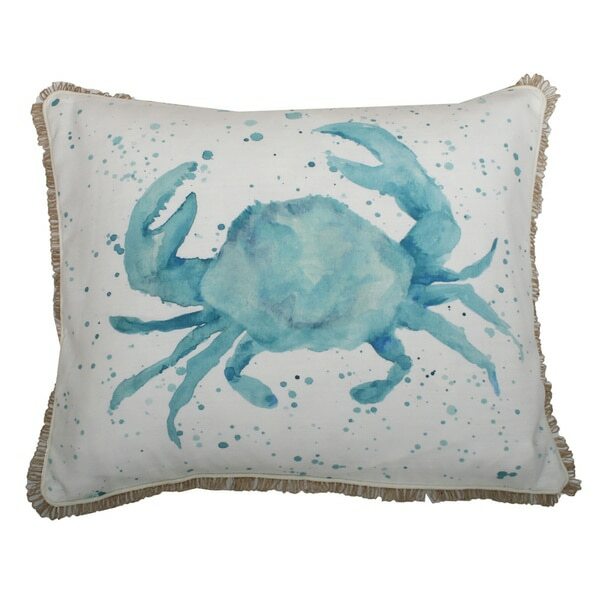 This Linon Artic Blue Pillow is ready to layer and lounge in 100% natural linen. Icy blue front flips to same color back. 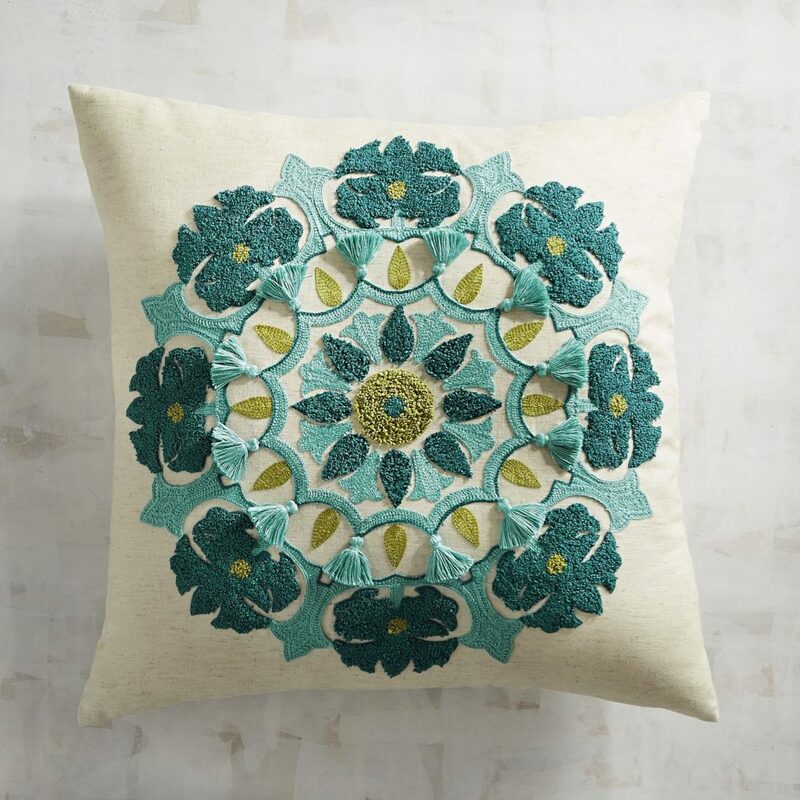 Perfect year-round as the solid color in your pillow palette. Includes your choice of feather-down insert or down-alternative insert. 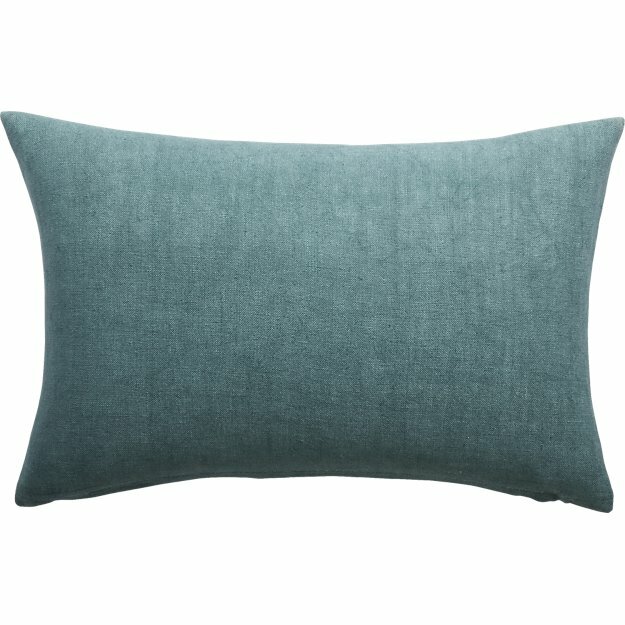 18″x12″. $19.95. Buy here. 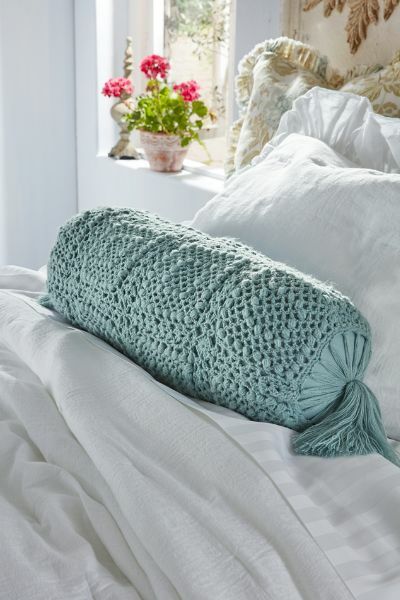 This Crochet Knit Bolster Pillow just might be the perfect mix of casual-chic and posh-bohemian home design. 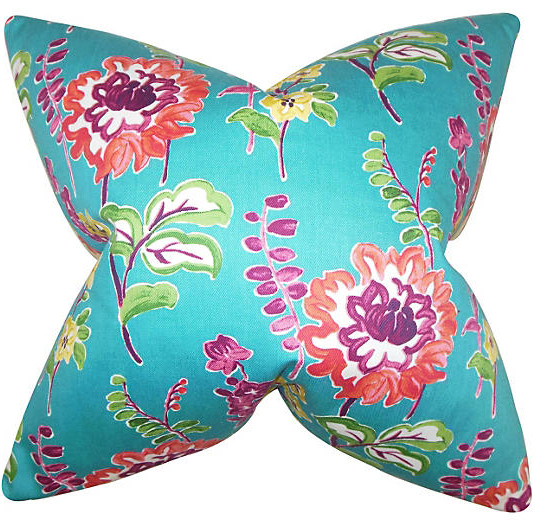 This finely crafted accent pillow is the perfect way to add a key layer of textural interest to any bed, chair or sofa. 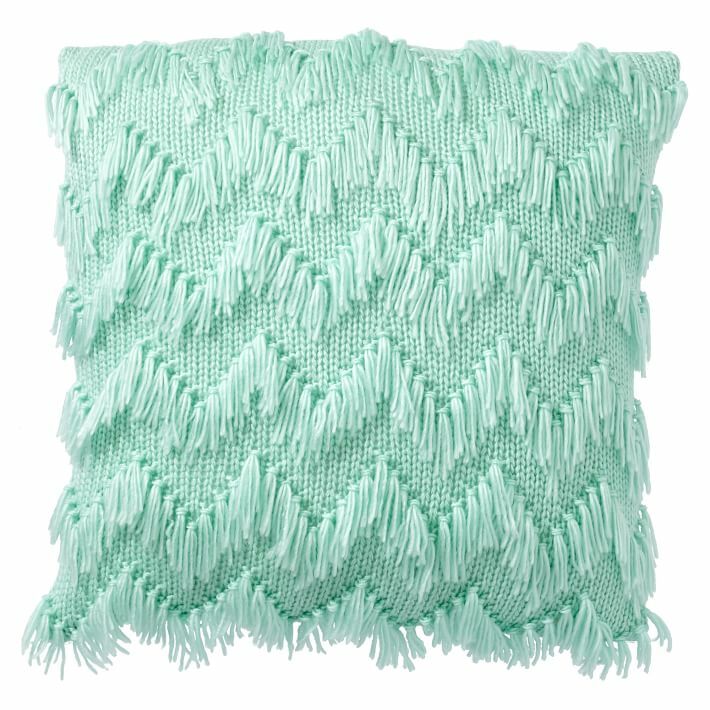 Available in two subtle hues, this soft pillow is fully lined and finished on both ends with an artistic star-tassel embellishment. $38.95. Buy here. 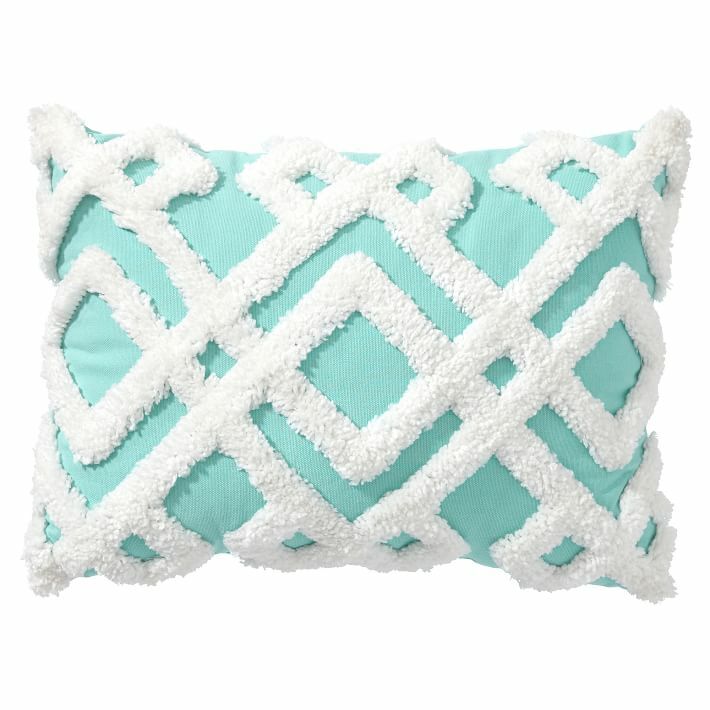 This tufted Teal Amya Velvet Pillow Pouf is a luxe decorative accent that doubles as a comfy place to sit! 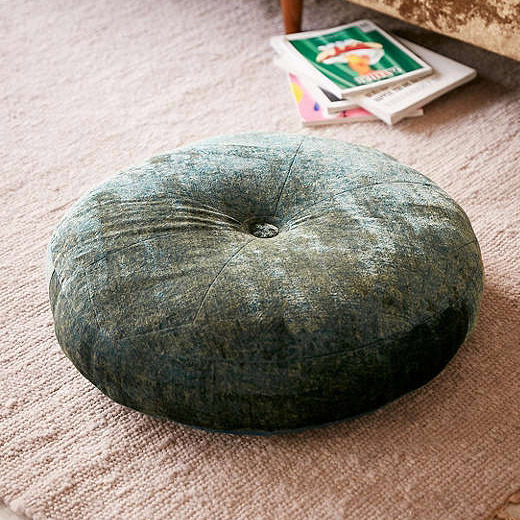 With petaled piecing on top and durable upholstery at the bottom, perfect for cozying up with to read or as extra seating for guests. $89. Free shipping. Buy here. 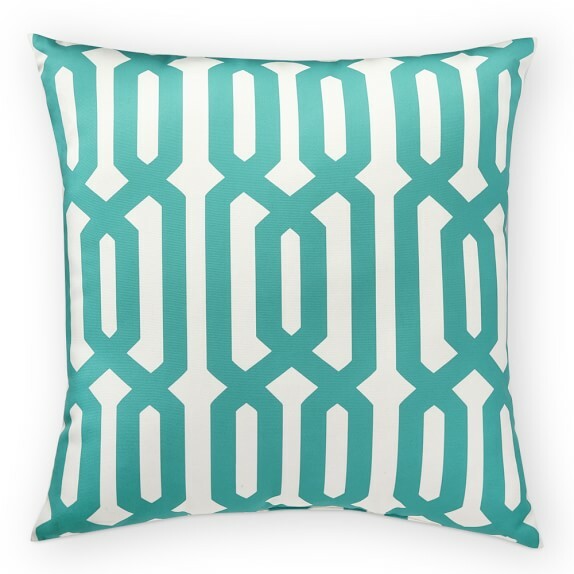 Bring geometric design to your space with this plush patterned Aqua Geo Plush Pillow. 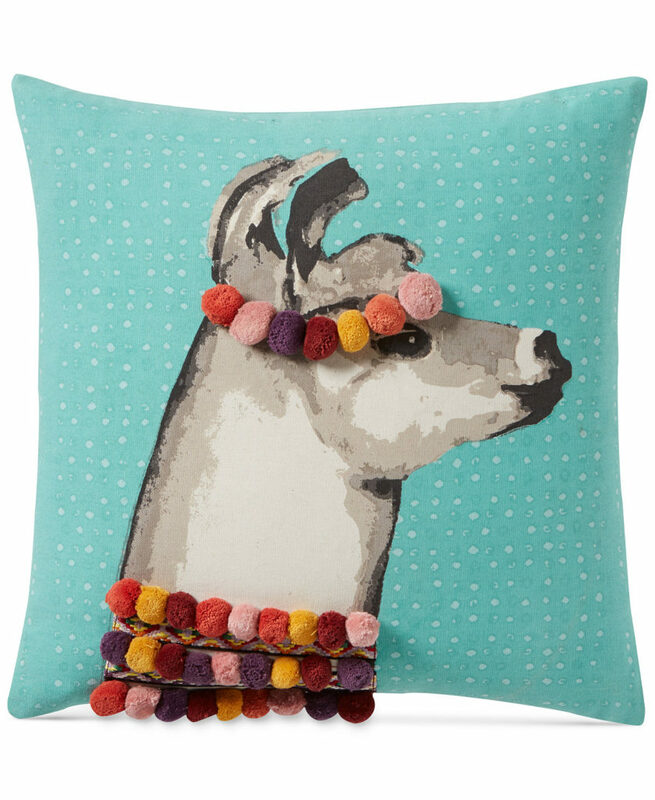 Made from soft pure cotton, it looks great on your bed, sofa, or beanbag! $29.50. Free shipping. Buy here. 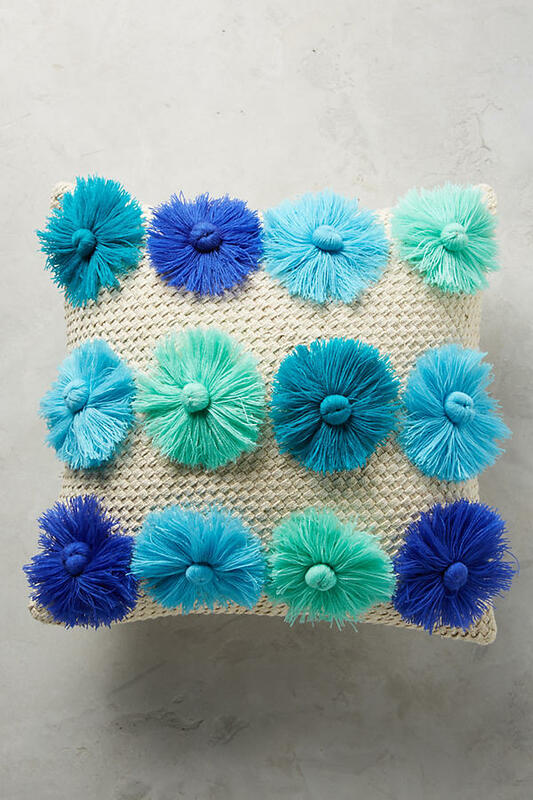 And fun texture and color to a sofa or bed with this Textured Blooms Pillow. 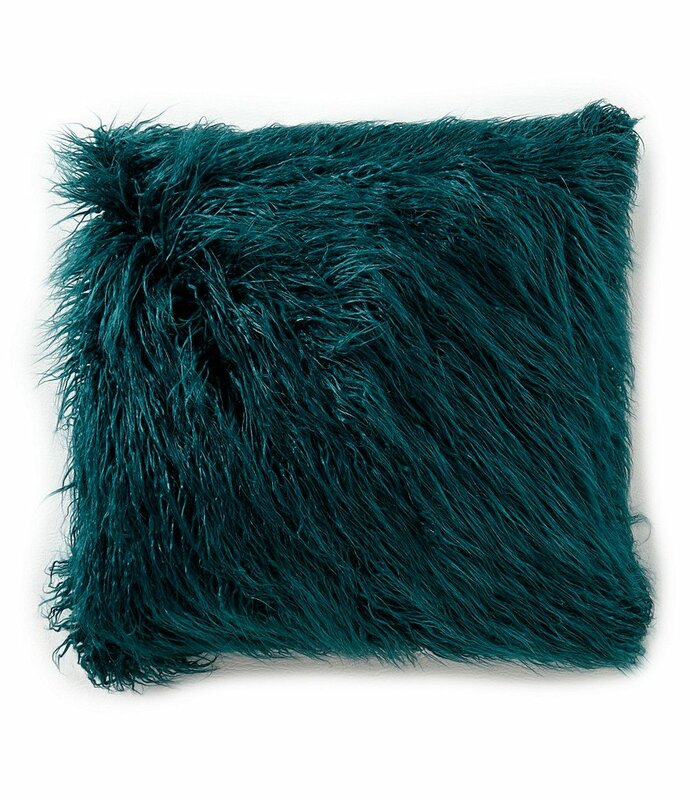 Measures 20″ square. $78. Buy here.